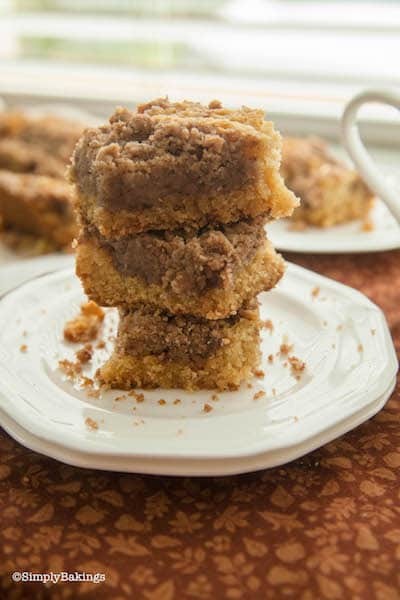 This perfect Vegan Coffee Cake is rich, crumbly, and will be the star at your next brunch! I remember eating there at least once a month with my high school friends, sometimes just ordering the coffee cake. 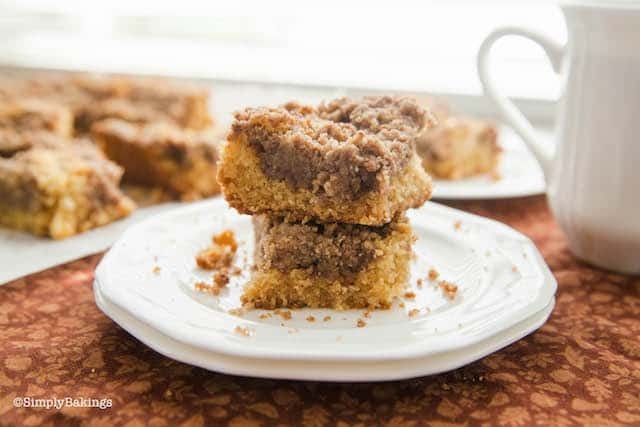 There’s something about brown sugar and cinnamon that get’s you addicted. Am I right? Anyways, I’m taking my baking to the next level and decided to make vegan coffee cake. 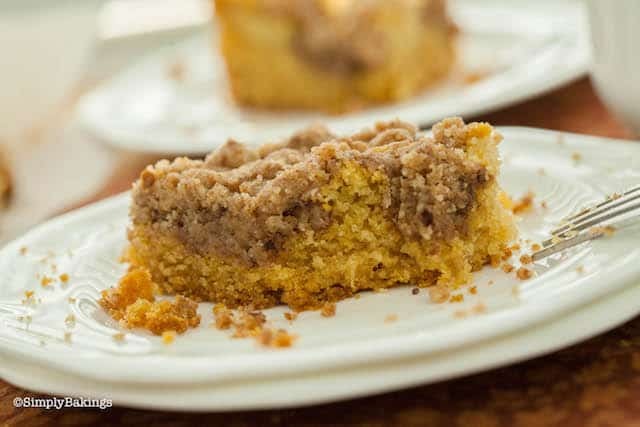 This recipe tastes absolutely the same as the coffee cake I used to eat. Give it a try and let me know in the comments how it goes for you! 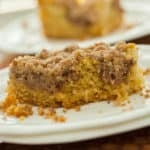 Line an 8×8 inch pan with parchment paper, then preheat your oven to 325 degrees F.
To make the crumb topping, in a large bowl mix together the all-purpose flour, brown sugar, cane sugar, ground cinnamon, salt, and vegan butter. Mix until crumbly and set the bowl aside. In a large bowl, whisk together the all-purpose flour, sugar, baking soda, baking powder, salt. Next, add the wet ingredients into the dry ingredients and mix until combined. Don’t overmix! Pour into pan and bake for 35-40 minutes. Allow the cake to cool for at least 15 minutes. Enjoy with a cup of coffee or hot chocolate. Awesome recipe! Yumminess and goodness in one!